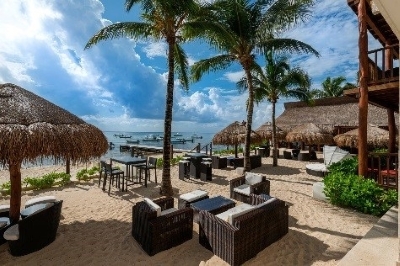 A unique tournament will take place at the Reef Coco Beach Resort in Playa del Carmen, Mexico from November 5th to 10th, 2018. 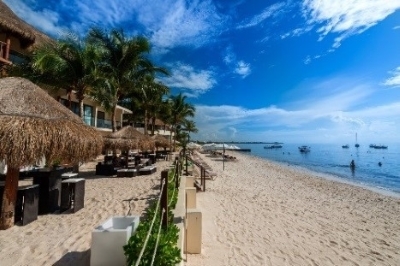 Participants will be able to combine a beach vacation with up to 42 games of Scrabble, in a flexible combination of 3 one-day events, and a three-day main event. This is also an opportunity to meet Spanish Scrabble enthusiasts. 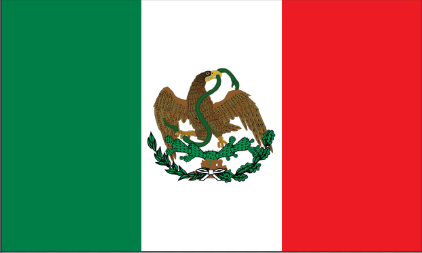 The event is being held in conjunction with the 22nd Spanish World Scrabble Championship, which is sponsored by the Federación Internacional de Scrabble en español (FISE). 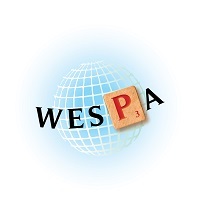 The FISE generously invited WESPA to organize an English-language tourney alongside their events, sharing the playing space and their attractive all-inclusive rates at the resort ($105 US per person for a double room). The FISE, the FISF (Fédération internationale de Scrabble francophone) and WESPA are the only world Scrabble Federations, so greater cooperation can be a big boost to raising publicity, interest, and respect for Scrabble. The flyer for the event can be found by clicking here with all registrations and enquiries to go to Tony Leah. The FISE is running a number of different events from November 5-10, and some English players are even considering playing in the Spanish duplicate event on Monday, November 5, and then switching to the English tourneys. There will also be an opening ceremony on Sunday, November 4, and a closing dinner on Saturday, November 10, so that all the players, English and Spanish, can get to know each other.